Finding the right two-way radio communications solution might seem like a slightly daunting prospect at first if you have never used one before. The term "radio system" makes it sound a little scary, but choosing a solution does not need to be complex – or expensive for that matter. How many subscribers will use the network? What kinds of voice and data applications do you want to access? What levels of traffic do you expect? What radio frequencies do you already hold or are you likely to be able to acquire? Do you expect to significantly expand the network in the future? The answers to these questions will largely determine the radio solution you end up with. Hytera offers a full portfolio of Digital Mobile Radio (DMR) Tier II conventional and Tier Ill trunking products and solutions covering every possible need. At its simplest that need may be just a few DMR Tier II hand portable terminals communicating directly with each other within a small, localised area. If you have a larger number of subscribers and you want to communicate over a wider area using more feature-rich applications then you will need to add one or more repeaters. You can then expand coverage and capacity using Hytera IP Site Connect and IP Multi-site Connect, which links repeaters in different areas and enables them to switch voice, text and data packets over a TCP/IP-based network. 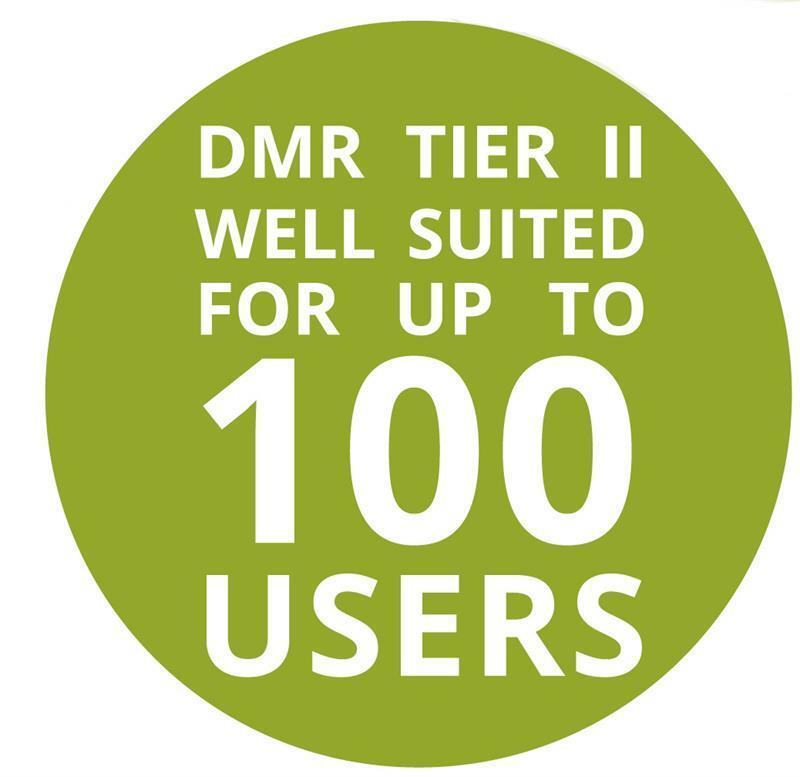 DMR Tier II conventional systems are generally considered to be suitable for up to 80-100 users making it the ideal choice for small to medium-sized organisations primarily looking to support voice services. 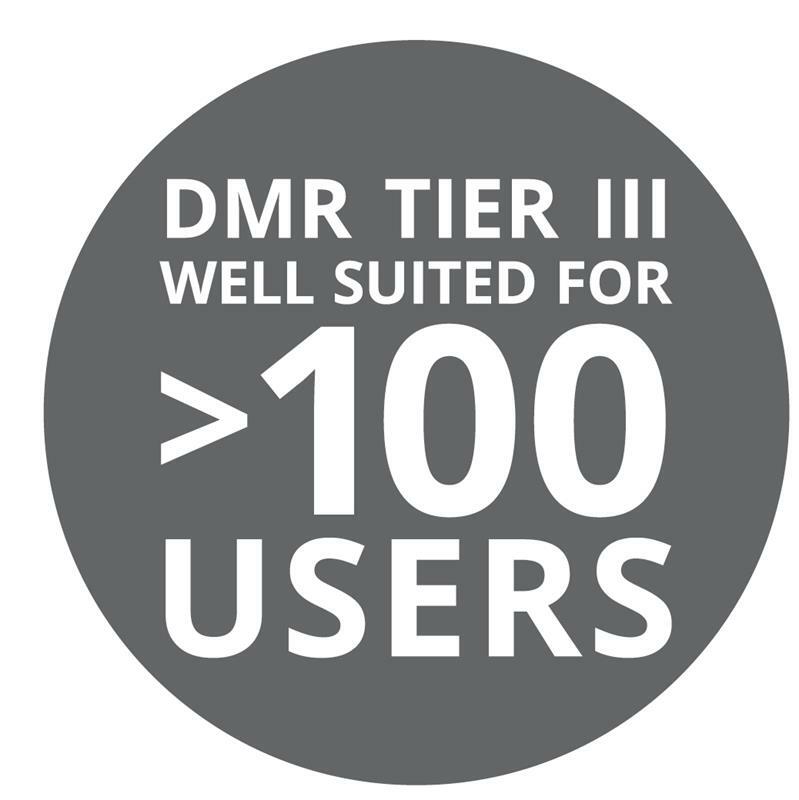 If the radio system needs to support more than 100 subscribers then a DMR Tier Ill trunking system should be considered, especially if you also want to access advanced voice services as well as data applications. The key difference between the two tiers is that Tier II conventional radio systems use a dedicated channel for each individual group of users, while Tier III trunking radio systems automatically allocate a pool of channels to different groups of users. "It's a bit like being at the supermarket and going to the check-outs," explains Chris Cant, Systems Product Manager at Hytera UK. "In a Tier II system you have a designated check-out lane and that's the one you have to go to no matter how many people are queuing at it. You just have to wait your turn. In a Tier Ill system there are a number of check-out lanes and if there is a queue in your usual lane, you are automatically directed to the nearest available free check-out. However, Hytera also offers two ways to expand capacity or coverage on DMR Tier II conventional radio systems without the need to upgrade to the more feature rich Tier Ill: Hytera Simulcast; and Hytera XPT (Extended Pseudo Trunking) which might be referred to as DMR Tier "2.5", as it provides a bridge between Tier II conventional and a full Tier Ill trunking system. XPT enables users to double their radio capacity using their existing spectrum resource without the expense of having to deploy a centralised system controller. "IP Site Connect provides better roaming, but does not enable you to manage your spectrum," says Chris. "XPT allows you to manage your spectrum resource. The repeater automatically allocates free channels to the radio users, rather than forcing you to queue for a single designated channel." Chris adds that upgrading to XPT is easy if you have DMR RD985S repeaters. "All you need is an XPT license for the repeaters. The XPT features are already built in, so there is no firmware upgrade required for either the repeaters nor the terminals. The terminals also do not require any additional licensing for XPT. It's a very cost effective and simple way to expand the capacity of your radio network." For wide-area coverage, where your frequency resources are constrained, a DMR Simulcast, or simultaneous broadcast system, is really best suited for organisations who want to deliver DMR communications. Simulcast simultaneously transmits the same signal with the same modulation from two or more repeater sites on the same frequency. Just one frequency pair is needed for the stations are in the network. "XPT and Tier Ill are both forms of trunking," explains Chris. "They allow you to use your spectrum resource more efficiently and the choice of channel is made for you by an algorithm. XPT does it via therepeaters,while TierIlluses a central server to manage network resources." "For example, over-the-air programming (OTAP) is much more comprehensive on Tier Ill. Dispatching applications are richer, you can access a greater variety of call types and you also get more pre-emption and call interrupt options. ""It is also important to note that Tier Ill is completely scalable. "You need to consider the number of sites you want and how many channels per site. In countries with wide geographies you need big systems with a lot of sites" says Chris. Tier III is scalable from a single site up to multi-sites of 50+ base stations. Chris adds that both XPT and Tier Ill can interconnect with telephony networks and both offer encryption. Tier Ill provides far more redundancy options with back up servers, control channels, traffic channels, power supplies and so on. So, the level of network resilience you want will also play a part in deciding between XPT and Tier Ill.
DMR radios are available in VHF and UHF frequencies and which spectrum you choose will depend to a large extent on the nature of your business. You also need to check what frequencies are available in your area. Professional radios require a licence and your certified Hytera dealer will advise you on frequencies and can procure your licence from the regulator. So, why should you choose a Hytera solution? For a start, Hytera offers a wide range of highly reliable solutions, products and accessories that have been tried and tested many times around the world. It also has the advantage of being a one­ stop shop with no need to bring in third party solutions. Finally, Hytera's solutions are backed by an extensive range of local experts and innovation specialists in its global network of authorised partners, who will advise, install and maintain the right solution for your needs. A good example of XPT in action is the logistics company lnex Partners, which delivers fresh food and goods to more than 1,600 outlets in Finland, Estonia and Russia. When the company began work on a new logistics centre it wanted a modern and reliable communication system, which was also future proof. Inex invested in a Hytera XPT solution, which enables the company to cost-effectively increase capacity as its business expands by simply increasing the number of repeaters. It has so far invested in three DMR RD985S repeaters and more than 150 Hytera PD865 and MD785 DMR radios. The digital two-way radio handsets are used by the truck drivers and crane operators to communicate directly with each other and speak in talk groups to their colleagues and supervisors.